Terminus has announced an integration with HubSpot designed to help users launch account-based advertising (ABA) campaigns with enhanced messaging in email nurtures. 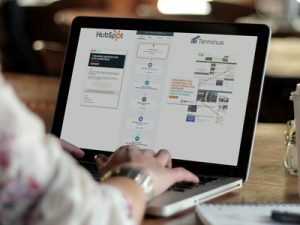 The integration pairs HubSpot’s inbound marketing capabilities with the Terminus ABM platform to automate ABA campaigns from within the HubSpot Workflow tool. Expanded reach, designed to go beyond the individual lead to engage all the decision-makers and influencers at an account, even without their contact data. Marketing orchestration, which helps coordinate the right message across email nurture and digital advertising campaigns that can be tailored to each persona at target accounts throughout the buyer’s journey and beyond. Engagement reporting, which provides Terminus reports to track digital advertising results, website behavior and media spend at the account level to demonstrate marketing’s influence on generating pipeline and revenue.